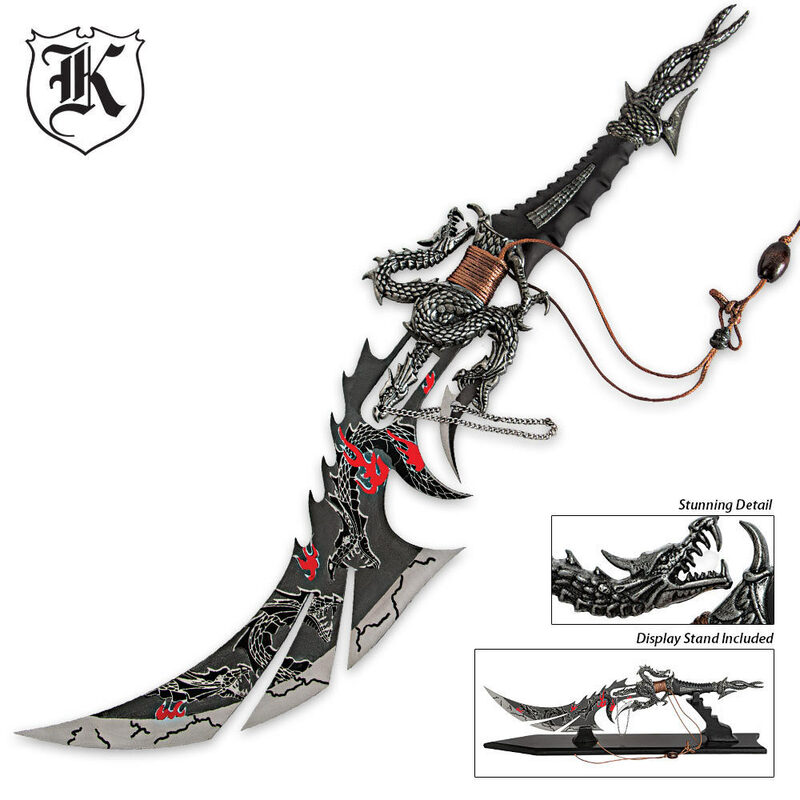 The Red Dragon Spine Sword is magnificent! It's an impressive piece for guests to see displayed in your home or office. It features a very dramatic 8" stainless steel blade that has been hand-painted with a red and black dragon motif. 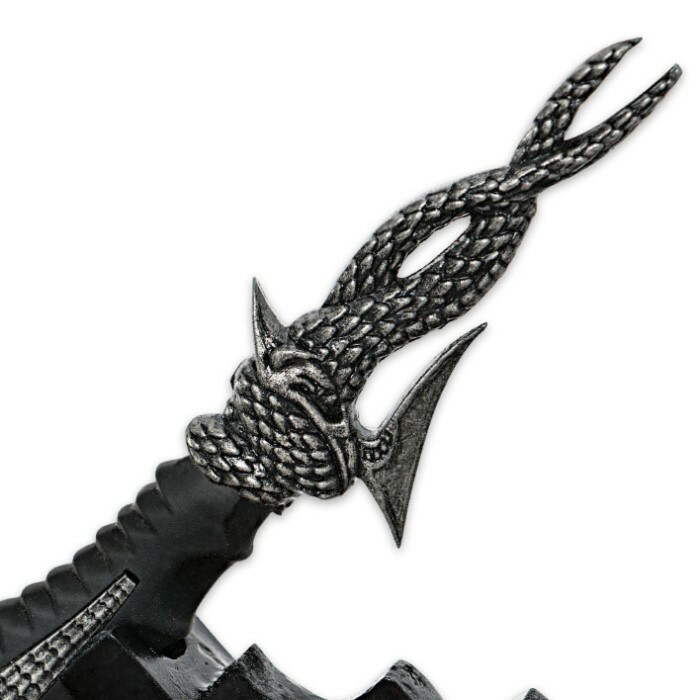 The cast metal handle has a rubberized grip and additional dragon details. 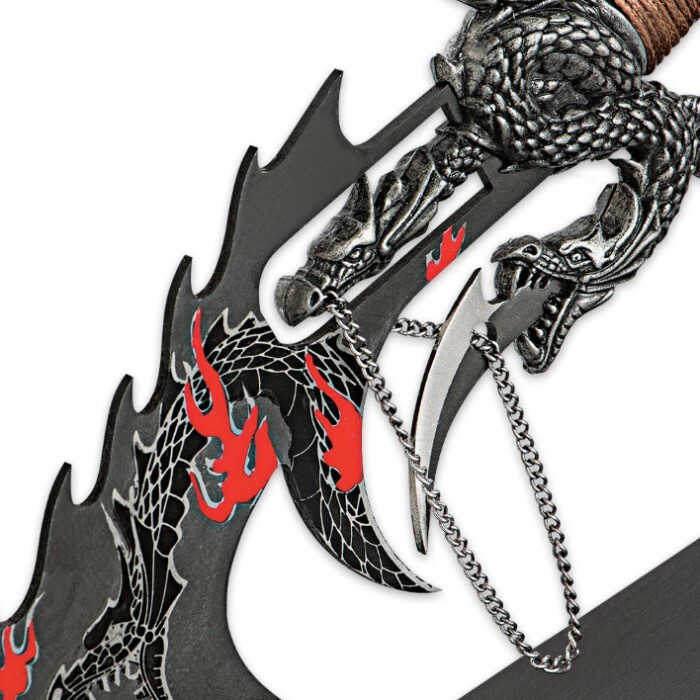 The included tabletop stand lets you easily display this incredible fantasy sword.